It's been nearly a week since the brand new iPhone 7 hit stores worldwide. On September 16th, pictures surfaced all over social media and news outlets of Apple Stores across the world being bombarded with hoards of people looking to get their hands on the newest, most up-to-date Apple iPhone. So now that we've actually been able to get our hands on the device, what have we found out? In the following blog post, we have taken a look at some of the reports of what iPhone 7 users like and dislike about the features of the new iPhones. Overwhelmingly, one of the first features that has users enjoying the iPhone 7 is the incredible display. Boasting a 1,334x750-pixel resolution and a liquid crystal display, the iPhone 7 is receiving very positive reviews. One of the new features of the display that sets it apart is the DCI-P3 technology which is primarily used some of the most expensive televisions on the market.1 In addition, the battery life has improved from the iPhone 6 from a 1,180mAh battery to a 1,960mAh battery for the iPhone 7.2 The 1,960mAh battery estimates to amount to about 14 hours of battery life. On the flip side, some of the negative reviews have stemmed from users apparently hearing a "hissing" sound when using both the iPhone 7 and the 7s. Initially, there has not been anything solely pinpointed as being the issue, but it appears most users are noticing the noise when the device is subjected to a heavy processor workload. 3 This could be when you're accessing a game or simply using an app that requires the processor to work harder. The camera on the iPhone 7 had received some buzz in recent months in wake of news that the camera was being heavily upgraded to better zooming capabilities and color capturing. The other news being reported was the addition of dual camera technology to the newest version of the iPhone. There have been varying reports since it's' release, but the majority seem to be underwhelmed by the new camera. Consumer Reports conducted a study on the iPhone 7 recently, and one of the findings that they uncovered was that: In a low-light environment, "the new phones seemed to perform no better than the iPhone 6s for still photos." 4 Overall, the camera hasn't been considered a negative, however it has been a slight letdown compared to what consumers had been anticipating. 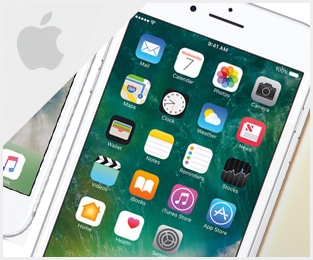 At the end of the day, the consensus opinion is that the iPhone 7 is not necessarily on the groundbreaking side of recent technology, but the new version of Apple's iPhone is still one of the top devices on the market today! Do your research before making the decision to purchase. But if you do decide to purchase, remember that Worth Ave. Group does now provide coverage for the iPhone 7 and the iPhone 7s! We cover damages including: accidental damage, cracked screens, liquid submersion, theft, vandalism, fire, flood, natural disasters and power surge by lightning depending on the device. Get your free quote today here!